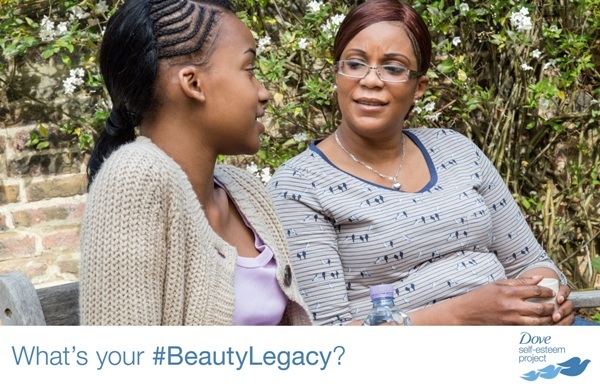 The project encourages women to create a positive beauty legacy for the next generation. The global personal care brand believes beauty is a construct, and the research they’ve done indicates the way women feel about their own beauty is having a profound effect on the self-esteem of girls around them. The research they did reveals that nearly three quarters of girls (71%) feel pressure to be beautiful, but are less likely to let anxiety about looks hold them back if they feel they have a positive role model. With a troubling 8 out of 10 women saying they dislike at least one aspect of their physical appearance, all women are asked to make a difference to the lives of the next generation by ensuring their own beauty legacy is a positive one. Dove believes all women have a role to play in setting a confident example for the next generation by feeling good about their own beauty and acting with positively towards the way they look. Their Dove: Legacy film illustrates how important it is for women to see the beauty in themselves so that they can pass those positive feelings on to the girls in their lives. The research shows girls can name an average of three women in their lives they look up to, with mums identified as the number one role model for more than half of them. I'm a 32 year old woman looking to meet men between the ages of 35 and 42.